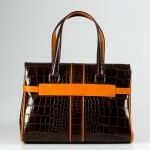 Crocodile bags are still a huge hit this year. 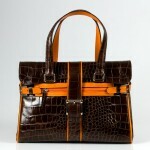 This brown crocodile handbag Elena is made from crocodile embossed leather. 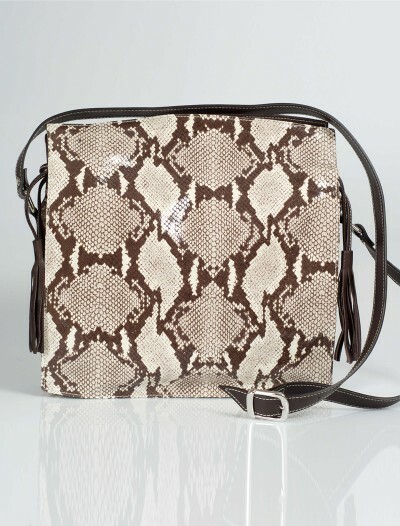 This means that it is made from real leather, but the leather has been embossed with a crocodile print. 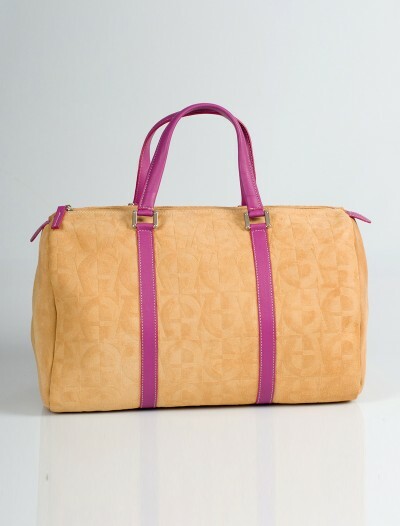 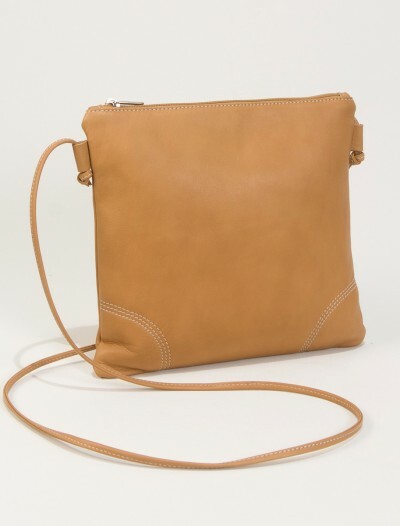 This bag comes in brown leather with orange leather accents, which give it a very trendy look. 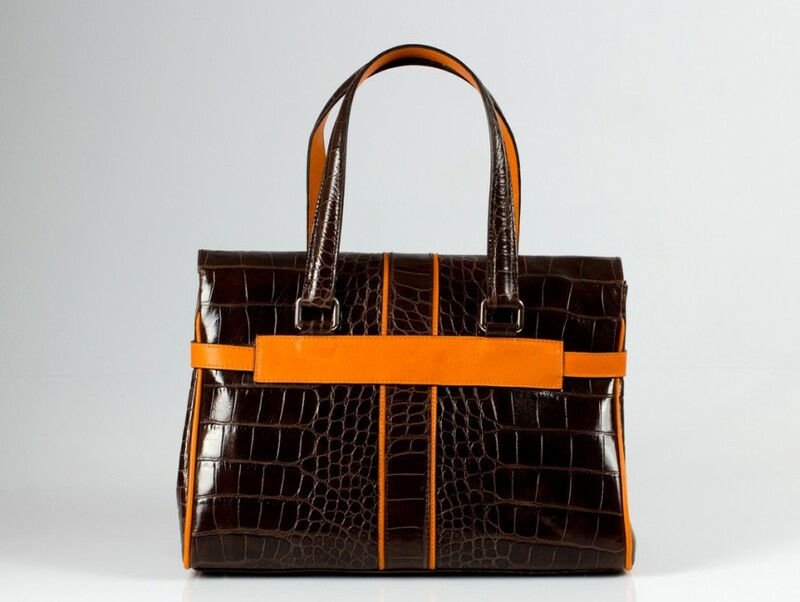 Our handmade crocodile bags are perfect to spice up your work wardrobe. 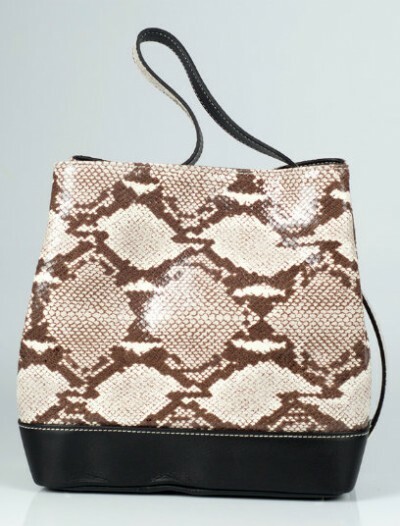 Or pair it with jeans, to make your outfit pop. 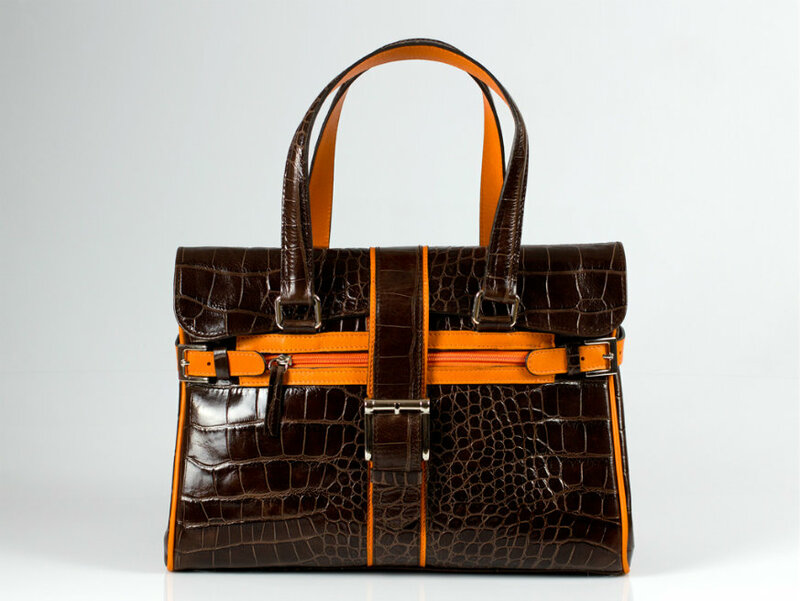 Check out here for some inspiration on how crocodile bags can be combined for a fashionable street style look. 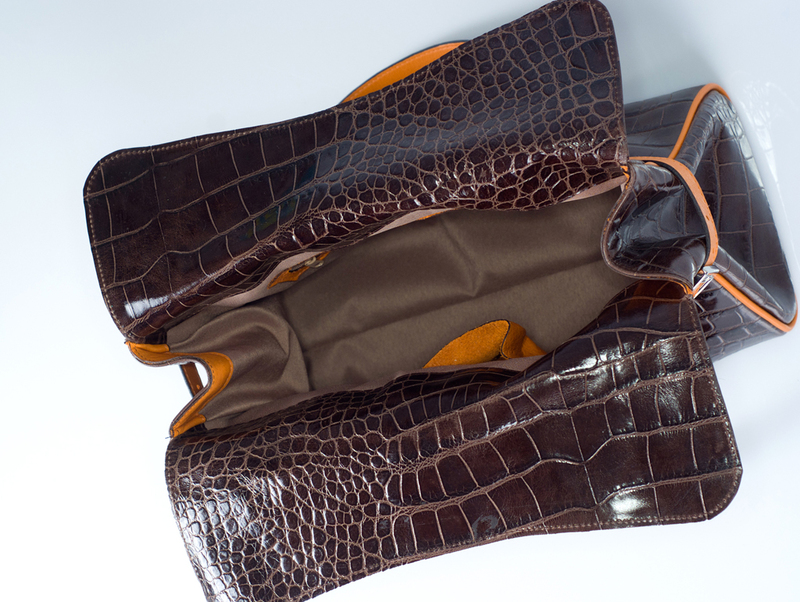 Our crocodile handbags are handmade in Spain with high quality leathers. 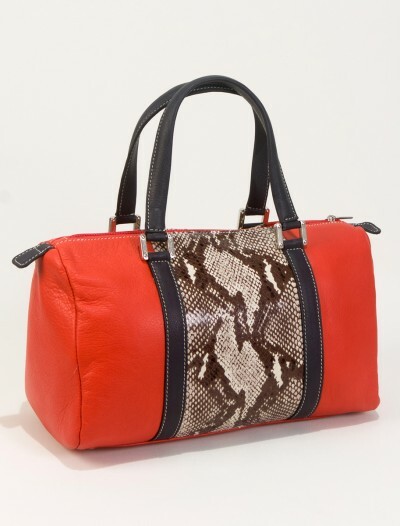 SKU: CROCbagElena Categories: Cool Handbags, Discount Leather Handbags. 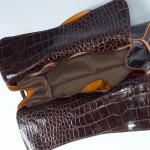 Tags: crocodile embedded handbags, handbags made in spain, spanish handbags. 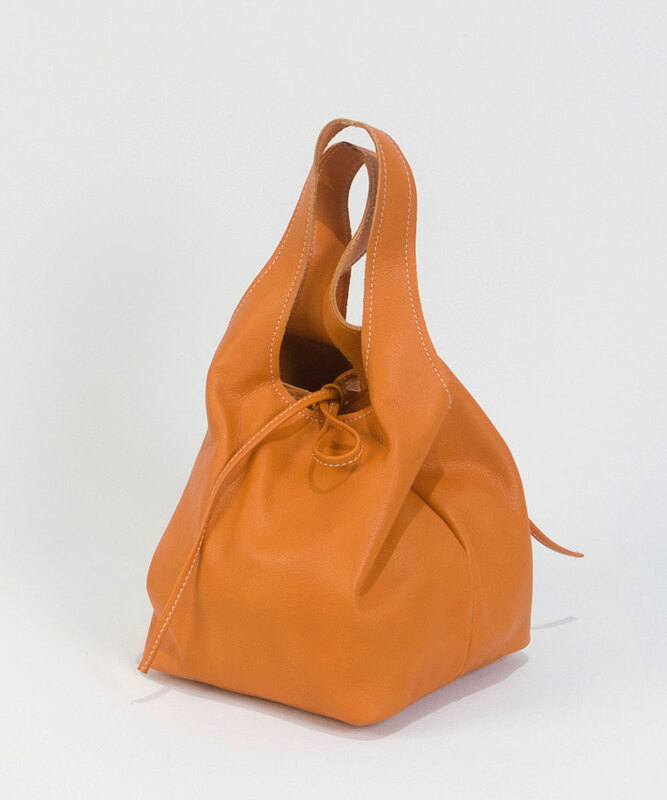 This handbag comes in brown leather with orange leather accents, which give it a very trendy look. 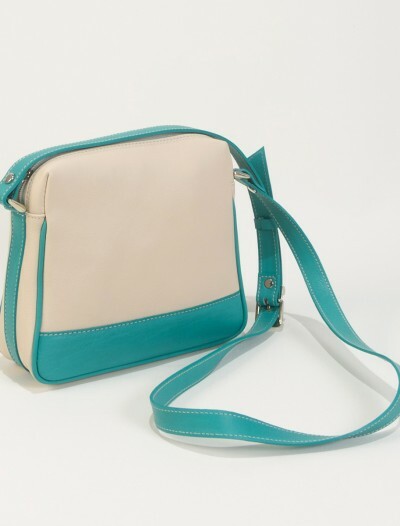 This handbag closes with a magnetic clasp. 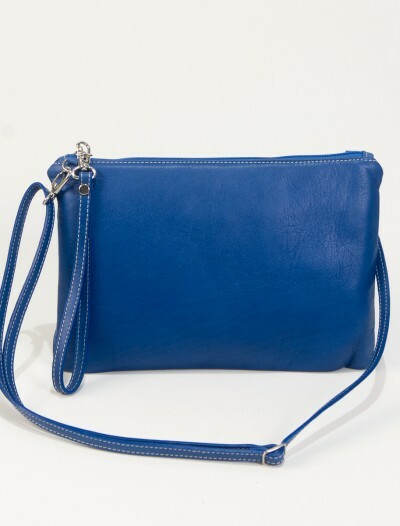 It has a separate zipper bag in the front, and a separate zipper bag inside. 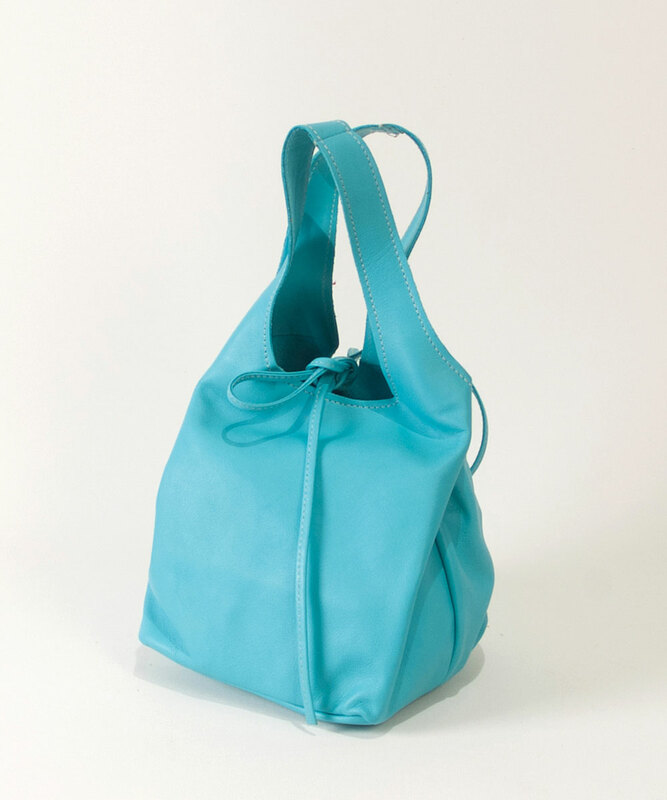 It comes with a leather key strap inside so that you can easily find your keys in this tote. 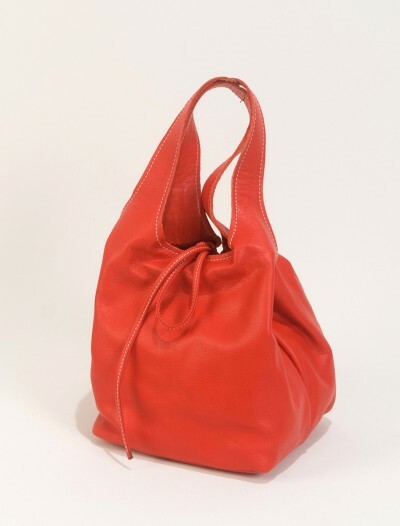 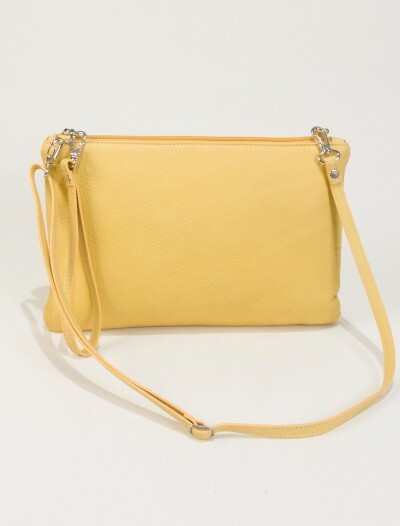 The interior of the handbag is made of high quality and very strong polyester lining.